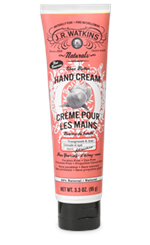 Paraben Free - Petroleum Free - Dye Free Watkin's hand cream nourishes and hydrates hands to leave them feeling soft and smooth. Made with shea butter, cocoa butter, and avocado oil. This rich, every-day formula contains ten essential oils and plant-derived extracts to give your skin deep, long-lasting moisture. A combination of shea & cocoa butters softens skin in the driest of conditions, leaving it naturally smooth and nourished. 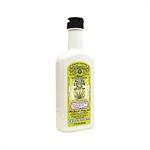 All Natural Hand and Body Lotion by J.R. Watkins. With nourishing Pamplemousse and refreshing grapefruit extracts. 11 ounce bottle. 98% Natural Ingredients. Natural oils including apricot, coconut, avocado, babassu and jojoba. Non-greasy formula. 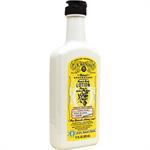 This cooling product helps relieve the congested feeling of a chest cold and suppresses the accompanying cough. The rub also provides temporary relief of arthritic and rheumatic pain, backache, sprains, strains, lumbago, and bruises. Relied upon for generations, Petro-Carbo First Aid Salve is still a staple for home medicine cabinets and first-aid kits. Its active ingredient is phenol (carbolic acid), but other benefits, and its unique aroma, derive from natural botanicals. This effective pain relief formula uses evergreen-based counterirritants to provide temporary relief from arthritis, muscle strains, and discomfort resulting from over exertion. The creamy lotion won’t dry skin.